Trampolin Hills Golf Resort update; false hope for victims? 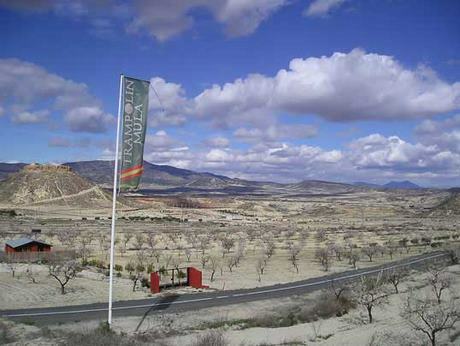 Hundreds of Britons paid tens of thousands of pounds to buy homes off-plan at the Trampolín Hills Golf Resort in Campos del Río, Murcia, only to see the company go bankrupt with nothing to show for their money. A new report from the court administrators says the company is not ‘balance sheet insolvent’ leading the Spanish press to speculate that buyers might get back some or all of their money if the company was liquidated. Is this a false hope? I hope I am wrong, but I think it is. By assuming the worst in these kind of situations I haven’t be wrong yet. First of all, let’s look at the administrators’ report in more detail. An audit of the company’s assets and liabilities found 62.5 million Euros owed to creditors, not including clients who handed over deposits and stage payments to the tune of 53 million. Clients should have mandatory bank guarantees provided by the developer to protect their stage payments from just this type of eventuality, but they don’t. That’s what happens when you deal with a company like Trampolin Hills Golf Resort. On the asset side, the auditors found that all but the most illiquid assets have completely disappeared. Ferraris, executive cars, lorries, tractors, diggers, bulldozers, dump trucks and cranes, you name it. All gone. Even office fixtures and fittings like coffee machines, chairs, computers, and aircon units. All that’s left, it seems, are the assets the owners couldn’t remove, like the land and buildings. Everything else that belonged to Trampolín Hills Golf Resort has vanished, described in the report as “missing assets”. That just leaves some land and buildings in Barril de Arriba and Barril de Abajo of Campos del Río, where the urbanisation was supposed to be built, which the administrators have valued at 69 million Euros, plus some financial assets such as credits, valued at 12.5 million Euros. Total assets valued at 82 million Euros, giving a cash surplus of 17.5 million Euros if the company was liquidated at these values. According to the regional newspaper La Verdad, this is good news for victims, as they may be able to get back all or part of their money if the company is liquidated. But here’s the thing. Does anyone seriously believe that Trampolin Hills Golf Resort’s land is worth 69 million Euros? I certainly don’t. In the current market I doubt the land is worth a fraction of that, even if it had all building licences in place, which Trampolin Hills Golf Resort manifestly doesn’t. As the administrators say in their report, “this project, at the current time, and bearing in mind the insolvency of the company, is absolutely unviable,” whilst recommending the liquidation of the company to pay its debts. Trampolin Hills Golf Resort reportedly sold 1,700 homes off-plan, many to British buyers, who paid a total of 53 million in deposits and stage payments, and now have nothing to show for their money. I doubt this report from the administrators puts gets them any closer to justice or getting their money back. Some Britons sold up in the UK and moved to Murcia to wait for their new homes at Trampolin Hills Golf Resort. Years later, they are still waiting, living in rental accommodation. Pease contact us if you have any further news on this matter.We paid a deposit of 40-000euros.We paid an extra 3.000euros to a Spanish solicitor who took our money making us believe that we would stand a better chance of getting our money returned but nothing has happened and we are no longer able to make any contact with her.